I spent two days in Naples on my way to the IV° Naples Urban Sketching Workshop (which actually took place in Ischia). Naples was incredibly busy, and it felt quite different from the Italy i knew; i had never been this far south. 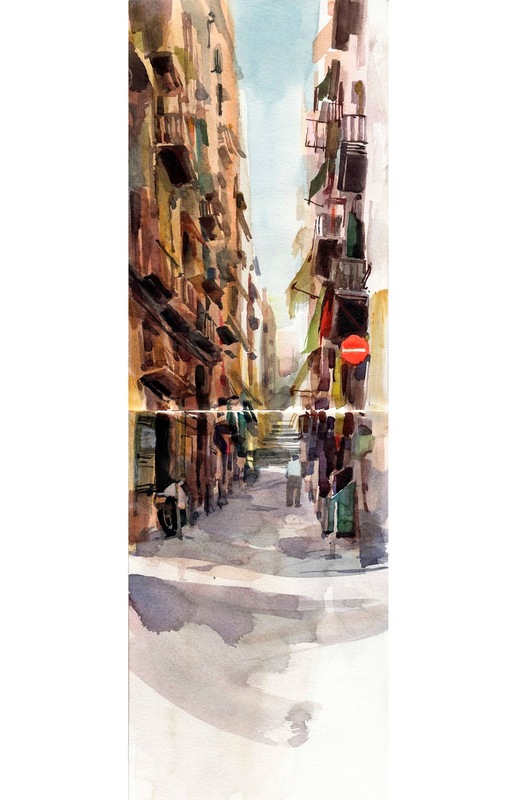 The narrow streets of Quartieri Spagnoli (supposedly not the best neighbourhood) were much calmer than the city center and were great to sketch. I had various very nice conversations with locals in my non existent italian while i painted the view below. There where some beautiful places to explore, especially old book and antique stores. The weather wasn´t great, but it´s a chance to draw people with colourful umbrellas. And of course, a panoramic view with the Vesuv in the background was a must.